This would be at least Clinton’s second fall while abroad. 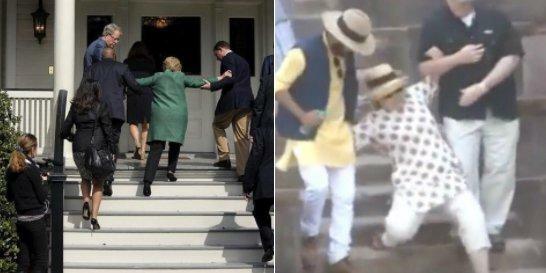 She slipped on stairs while in India this week, needing the assistance of two men to walk down a flight of stairs. As The Daily Caller notes, Hillary has a long history of falling down and having issues standing up in general. 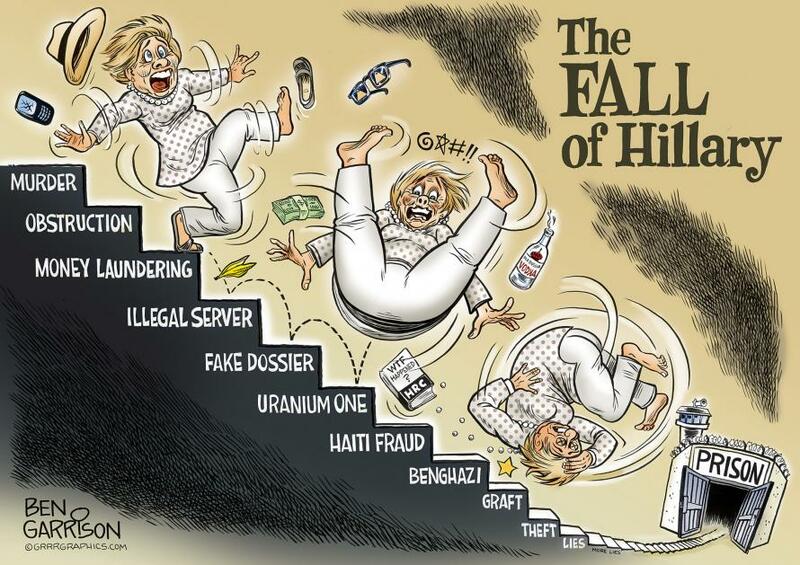 In the 2016 campaign, she slipped on a flight of stairs in South Carolina. She also infamously collapsed during a 9/11 memorial during the 2016 campaign. If you’re a member of the Deep State, you have a lifetime stay out of jail free card. You may commit any crime you like - steal from Haitians, murder witnesses, lie to Congress about classified information, accept ‘pay for play’ money while secretary of state, allow people to be murdered in Libya, be involved in child trafficking, or even rig an election - and no harm will ever come to you. Hillary always gets away with it.